If you are a guy, chances are you have or have had a taper fade haircut at least once in your life. These popular men’s haircuts are performed with the use of electric hair clippers, and they are among the most requested types of men’s haircuts in salons and barber shops the world over. A taper fade haircut is essentially a haircut in which the length of the hair either decreases or increases gradually, generally featuring longer hair on top that gradually tapers and fades to much shorter hair along the neck line and above the ears. While taper fade haircuts can be achieved at home by using virtually any electric hair clippers (most of which come with attachment guides to easily control the length in which you cut your hair), the fact of the matter is that taper fade haircuts have become something of an art form in many communities, and a trained hairstylist or barber can often provide cleaner lines and a far more polished, professional and put together overall look than most people can achieve on their own. Taper fade haircuts are among the most popular haircuts for men for a number of reasons, not the least of which being that they are so extremely versatile. They can be modified in dozens (if not hundreds) of ways, allowing for easy customization and personalization of a classic style. This means that any man can easily put his own twist or flavor into this classic style. 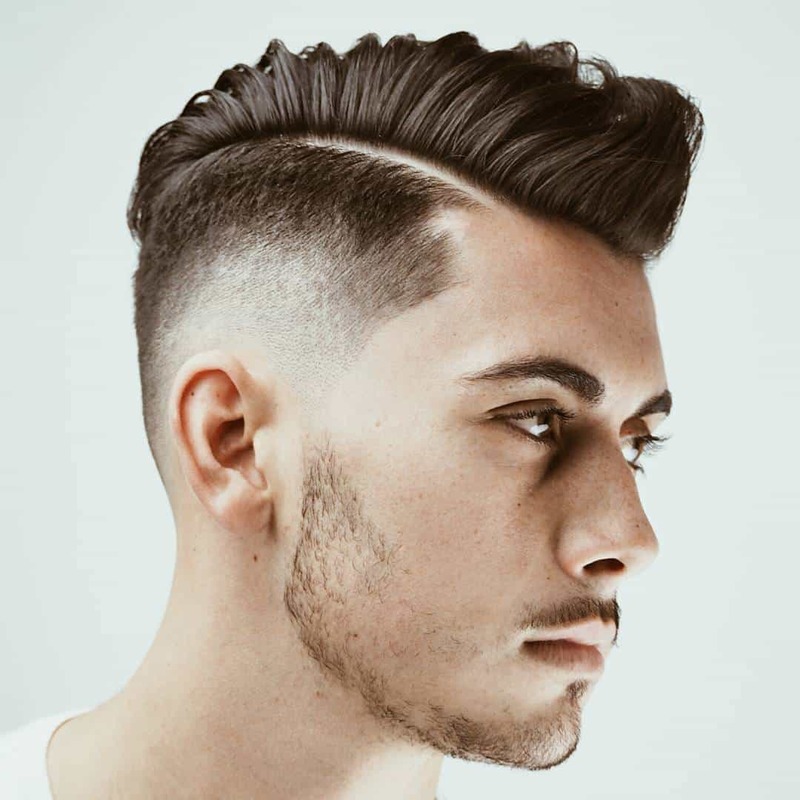 Some of the most popular modifications of the taper fade haircuts include such things as asymmetrical lines in the back, splashes of color, and longer than is traditional hair on top. In fact, the taper fade haircut is often the starting point of such edgy, trendy haircuts as the faux hawk. You can learn more about how to cut the Fade haircut, Temple Fade haircut, Bald Fade(Skinned Fade)haircut, Low Blended Fade haircut, Dark Ceaser haircut, Light Ceaser haircut, sharper hairlines, Beard Shapeups and much more on ALEX CAMPBELL HAIRCUTTING DVD’S. Typical street cutter's approach to cutting. They all put lines in first and then go back to fade. A real barber wouldn't put lines in first, so then there wouldn't be any lines when the hair grows out a little. hey man you sound like a good barber. Is this ryan from claudy? ? ? ? I never realized how many different things you can do with short hair styles. I like keeping mine shorter for ease of maintenance. This site gives many cool ideas!